Want a Secure Website Immediately? Try Hide My WP Ghost plugin. 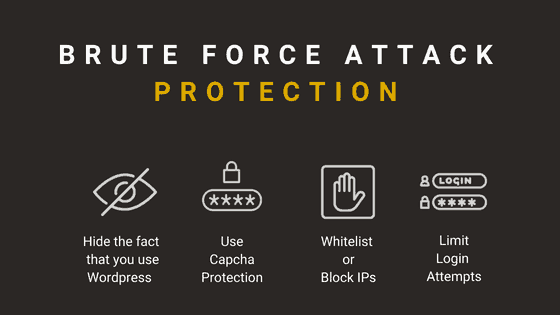 The Most USER-FRIENDLY WordPress Security Plugin! In the next steps you will find out how Hide My WP Ghost can help you to secure your website. 1. Hide the fact that you are using WordPress CMS. 3. Restrict access to the authentication URLs. 2. 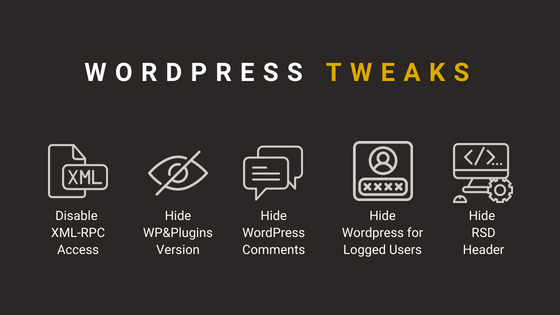 Hide WordPress Common files: wp-config.php, readme.html, license.txt, etc. There is no difference in features between Safe Mode and Ghost Mode, just in the predefined settings. By default, Safe Mode does not modify the wp-admin and admin-ajax.php paths, it just hides them. Also, it doesn’t hide the common paths (wp-includes, wp-content, plugins, themes) and WP-JSON API calls. Safe Mode has been created to eliminate many incompatibilities with custom themes and plugins that we have tested in recent years. Safe Mode provides a good level of security, even if these settings are not enabled. If you feel confident you can switch to Ghost Mode, you can always go back to Safe Mode in one click. Hide My WordPress Ghost is a speed optimized plugin. The average loading time is 0.03s which is faster than 90% of the WordPress plugins. This will help your website rank higher in Search Results. You can install and setup the plugin in less than 5 minutes. You don’t have to be an expert to make it work. No programming knowledge required. Hide My WordPress Ghost was tested with over 1000 other themes and plugins. It works with the most of the popular Cache Plugins, Security Plugins, CDN Plugins, and WordPress Themes. Hide My WordPress Ghost works with WP Multisite on sub-directories and sub-domains. We offer WordPress professional support that includes: bug fixes, site fixes, payment processing issues, website speed optimization and much more. Great plugin, exactly what I was looking for. WORKS AS DESCRIBED! Other plugins will take you to a page that says “disabled” or other pages that look like a wordpress page. I have tried other plugins and then I found this one. This plugin will allow you to create a custom login URL and redirect the wp-admin and wp-login.php to any page you specify. Easy installation, easy to configure, worked like charm with Woocommerce login and registration and with OneAll Social Login. Hid and renamed wp-admin and wp-login.